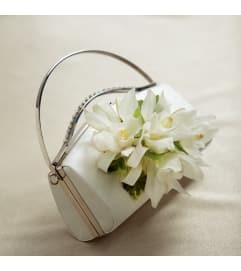 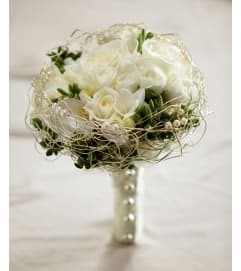 The FTD® To Have and To Hold™ Bouquet blooms with romantic elegance to set the tone for your wedding day. 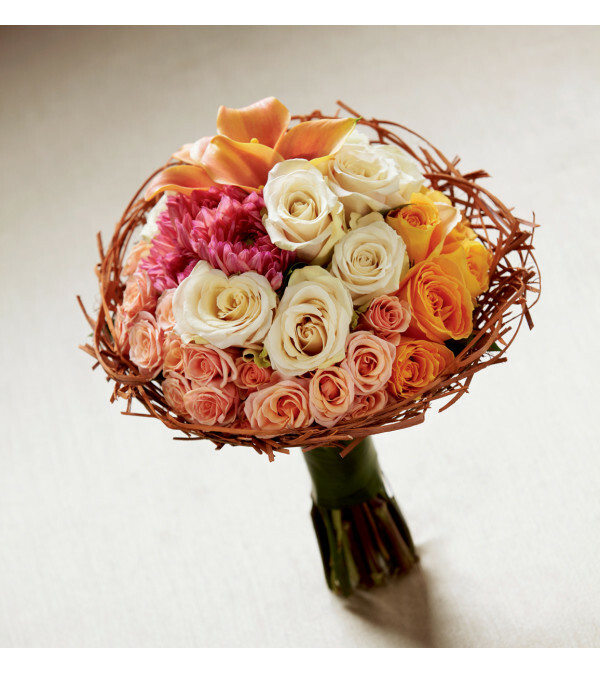 White roses, orange roses, peach mini calla lilies, peach spray roses, and dark pink dahlias are arranged in a tight, compact manner to create a palette of color and texture. 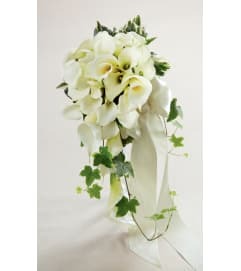 Tied at the stems with fresh tropical leaves and accented around the bouquet with a wired raffia bouquet collar, this arrangement is both lovely and memorable.